Partners Albania for Change and Development Rruga Sulejman Delvina, N.18, H.8, Ap. 12, PO Box 2418/1, 1022, Tirana, Albania Tel.Fax: +355 4 2254881 E-mail: partners@partnersalbania.org www.partnersalbania.org All rights reserved. 16 managers of Albanian organizations increased their know-how and improved skills in management as part of the NPO Academy program. 4 training programs and 36 coaching sessions supporting CSOs in developing new business models based on fee-for-services. Building bridges between CSO and business sector through the 1st Speed Dating event. Assisting LEVIZAlbania subgrantees but not only, to increase their performance in project implementation through 6 thematic networking sessions, 9 on-line and onsite training programs, 3 virtual meetings to exchange good practices from the region, with the participation of 270 NGO representatives and individuals. Projects of 24 organizations and 9 individuals supported through the 3rd Round of Funding of LEVIZAlbania. Publishing of a Monitoring Report on Freedom of Assembly in Albania. Social Entrepreneurship and Innovation 4 new start-up ideas supported through the Green Ideas Competition, creating 12 long-term job placements and business contracts with over 25 local business providers. 4 programs, 16 training days supporting job-placement and self-employment opportunities for 125 youngsters participanting in ICT Youth Camps. Design of 27 business ideas developed by youngsters and coached by business experts. Philanthropy and Corporate Social Responsibility Publication of the second study on the development of corporate philanthropy in Albania Organization of the 7th Philanthropy Awards ceremony Daily monitoring and publication of 12 monthly reports, 1 monthly bulletin and 1 annual report on the philanthropic activity in Albania. Present in 11 TV shows and over 15 articles in the printed media, addressing issues related to philanthropy and social entrepreneurship. Women and Youth Employment & Increasing Representation in Decision-making 12 students of economic sciences benefiting from the internship & employment opportunities through the program Education of young jobseekers in the banking sector. Continuous monitoring and publication of the second annual report on political, social and economic participation of young people as part of the #YouthBankHub for the Western Balkans & Turkey network. Contributing in increasing employment opportunities for youth through RisiAlbania project, supporting in 4 years creation of 946 new jobs 53% of which held by young women - in Agro-processing, Tourism and ICT sectors. Mediation services assited 5,378 young people to find a job - 51% of them young women. Transparent and Accountable Governance 3 Municipalities (Fier, Berat and Elbasan) approved Anti-Corruption Strategic Plans. 4 training programs, 67 public administration officials trained, 2 public information campaigns reaching out to over 620,000 people, interviews and articles in printed and electronic media, on the Law on Whistleblowing and Wistleblowers protection. Facilitating public input on local priorities and the World Bank's engagement in Albania, through 3 regional meetings with the participation of 130 local actors. Financially viable civil society = Active civil society Since 2016, Partners Albania continues to build the capacity of Albanian organizations by assisting them in developing alternative sources of funds, to increase their independence in advocacy for social change on behalf of their members and beneficiaries. PA assisted the first nine organizations, identifying together with them income generating activities. A series of trainings and longterm mentoring was offered to participants in order to adopt appropriate business models based on fee-for-services with the final goal to diversify revenues and increase sustainability. Partners Albania gave particular attention to building bridges of cooperation with the private sector by facilitating the mutual understanding of the added value these actors bring to the market. Virtual meeting with Peter Gustafik from PDCS and Uros Misljenovic from Partners Serbia, sharing international experience in selling and providing paid services. During March-June 2017, Partners Albania successfully implemented the NPO Academy program for the fourth group of NPO representatives from all over Albania. Since 2015, through this program, about 60 leaders of organizations have gained new knowledge and skills, benefited from networking and partnership opportunities with similar organizations at home and abroad. During four months, participants followed ten sessions focused on organizational development and sustainability, and participatory processes. Share of experiences and best practices in a series of issues related to the sector development and sustainability, involvement in policy-making processes at local and central level, as well as discussions on partnership opportunities, were in the focus of the inspirational meetings with 10 Slovak organizations, during a five-day study visit program. During the graduation ceremony, NPO Academy 2017 participants shared their personal experiences and concrete benefits from the program, as well as future plans for the implementation of acquired knowledge and skills. In September 2017, the NPO Academy started its new season with a group of 18 representatives of organizations from all over the country. NPO Academy is implemented by Partners Albania in cooperation with Partners for Democratic Change Slovakia (PDCS) in framework of the project â&#x20AC;&#x153;Pillars of civil society: More effective cooperation between civil and state sector in Albaniaâ&#x20AC;?, financially supported by Slovak Aid - Official Development Assistance of the Slovak Republic. ANNUAL REPORT2017 Since 2016, Partners Albania is implementing the project “C.A.U.S.E. – Confiscated Assets Used for Social Experimentations”, which aims to create a good model of sustainable re-use of the confiscated assets to the organized crime through creation of social enterprises managed by NPOs. In September, Partners Albania launched the first Call for Proposals within the project grant scheme, addressed NPOs. To assist the interested NPOs, PA in cooperation with the Agency for the Administration of Sequestrated and Confiscated Assets, organized in Fieri, Saranda, Lushnja and Tirana, four regional information sessions followed by visits to the confiscated assets. The intervention in three potential areas where the confiscated assets are located (Fier, Lushnje, Saranda), is expected to start in 2018. The project will support physical infrastructure rehabilitation of the assets along with training and coaching for the implementing organizations in providing services benefiting the affected communities by the organized crime. This project is implemented by Partners Albania, in partnership with Project Ahead and Comitato Don Peppe Diana, and the Agency for the Administration of Sequestrated and Confiscated Assets. The project is funded by the European Union through the Delegation of the European Union in Albania. Monitoring the Right to Free Assembly, Country Report for Albania 2016-2017, provides an analyses of the legal framework regulating the freedom of assembly in Albania against the international standards in this field. The report is based on desk research of the legal framework, and data gathering from the competent institutions (state police and local government). It is part of a bigger report prepared by the European Center for Not-for-Profit Law (ECNL) working with local experts from nine countries (Albania, Armenia, Belarus, Bosnia and Herzegovina, Macedonia, Moldova, Montenegro, Kosovo, Serbia) on mapping the existing environment on freedom of assembly in their respective countries. Partners Albania contribution to regional discussions on the development of enabling environment for civil society organizations Policy Forum on Development, a space for dialogue amongst stakeholders in EU development policy, Brussels, March 2017 Juliana Hoxha, Director of Partners Albania, participated in the Policy Forum on Development, a space for dialogue amongst stakeholders in EU development policy. At focus was the new European Consensus on Development and Agenda 2030. At the core of the Agenda 2030 implementation is the inclusive multi-stakeholder partnerships, and fostering an enabling environment for CSOs. It remains of vital importance how CSOs can contribute to the Agenda 2030 implementation and further influence the international development. In its 9th Annual Council Meeting, Klotilda Kosta, PA Director of Programs was elected as a new board member of Balkan Civil Society Development Network (BCSDN). 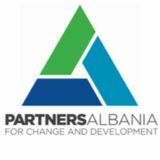 Partners Albania is a member of BCSDN since 2011. BCSDN Regional Conference: “The Role of CSOs in Promoting Civic Space” On June 21st, 2017, BCSDN organized in Skopje the regional conference “The Role of CSOs in Promoting Civic Space” where were discussed ways of promoting civic space and fostering enabling environment for civil society. The event gathered more than 40 CSO representatives from Western Balkans and European Union. As a speaker in the conference, Klotilda Tavani, PA Director of Programs talked about the PA experience in monitoring the enabling environment for civil society development in Albania based on the Monitoring Matrix, and challenges of advocacy efforts to create an enabling environment for civil society. The Albanian Crowd is an interactive Online platform of Albanian NPOs and social enterprises. The platform provides comprehensive information on the location, scope of work, areas of activity, beneficiaries, services the organizations and social enterprises offer and projects they are working on. The Albanian Crowd provides the opportunity for its members to share the most recent updates about projects and activities, identify potential project partners and recruit volunteers and supporters. It also serves the institutions and individuals from the public sector, business community, media, international organizations and donors who will find in it dynamic information, partners and services needed. The platforms gathers 150 organizations from across the country, operating in different fields. Since it was launched, the platform counts over 20,500 visitors, more than 2 million hits from nearly 150 countries from all continents. We invite the organizations already members to send us continuous updates to publish in the platform. For the sixth year, Partners Albania organized the National Competition Green Ideas 2017. The competition serves as an incubator for business ideas in the field of sustainable development, utilizing local resources and revitalizing traditions of production and community-based markets in an environmentally friendly way. The program supports individuals, social enterprises, non-for-profit organizations and family business ventures through a joint fund created with contributions from local companies and private donors, with institutional support of Rockefeller Brothers Fund. During the two days of the competition, 22 individuals, civil society organizations and small businesses selected from the first phase, presented their ideas before the evaluation panel of expert who selected the three best ideas which are being supported in the amount up to 800.000 ALL. The co-funders are Rockefeller Brothers Fund, Credins Bank and Telekom Albania. Production and Trade of Aroma Therapy Products The idea of Aroma Therapy Albania, a small business that is working to create an authentic Albanian aroma-therapy cosmetic line of healthy, chemical free products, made from local natural raw materials. “Sofra e Anéve”, (Grandma’s cooking) The idea of Gjirokastra Foundation is developing culinary tourism tours in the city of Gjirokastra, relying on the rich tradition of home cooking. The idea aims as well to promote the local agricultural products, diversification of tourism services and increase of employment. Cultivation and processing of pumpkin The idea of AgroNel.al, a social enterprise working on cultivation and processing of pumpkin, aims to stimulate the local economy through increasing employment, and promoting healthy living through the consumption of bio products. On July 26 -28, the annual regional competition Philanthropy for Green Ideas was held in Montenegro. Each year, this competition organized by Balkan Green Foundation, welcomes the winning ideas of national competitions that take place in Albania, Serbia, Macedonia, Montenegro, Kosovo and recently in Bosnia & Herzegovina. Eighteen competitors, including the winners of the Green Ideas Competition 2017 organized by the PA, in May this year, presented their ideas before a jury of international experts. ICT Youth Camps Partners Albania organized during 2017, three ICT camps for Albanian youngsters interested in the field of Information and Communication Technology, a series of programs developed within the Innovation Hub project launched a year ago. About 125 young people aged 17-30 benefited from the four programs organized during the June 2016 - June 2017. The participants were students of high schools, vocational schools, university students and other youngsters interested in the ICT field, from all over the country. ICT Youth Camp was designed and adapted by ICT and business experts as a 4 - day training and mentoring program led by national and international experts where participants received information and technical knowledge to develop their ideas for ICT products and services. The Camp helped participants to build knowledge in market segmentation and market positioning strategies; develop selling skills and presentation of business idea to investors, build co-operation and partnerships, develop business plan etc. The jury of experts and business representatives selected 25 ideas developed during the camps that will be further supported through the Innovation Hub project. Supporting youth employment in the banking sector Partners Albania launched in 2017 the program Education of Young Jobseekers in the Banking Sector to contribute to improving employment opportunities for young people who are taking steps towards a professional career in this sector. In partnership with Alpha Bank Albania, National Commercial Bank, Raiffeisen Bank Albania and Tirana Bank, Partners Albania offered for the first group of 12 economic science students a series of lectures and site visits in the banking sector which led to internship opportunities and employment of several participants. The initiative was implemented in cooperation with the Albanian Association of Banks. This program will be offered to interested students during each academic year. The Annual Monitoring Report for Albania 2017 provides also a comparative analysis of the indicators with the situation in 2016. The report serves as a strong evidence base for future advocacy initiatives regarding youth participation enriched by recommendations gathered through consultation with youth NPOs and other stakeholders. The project “Youth Bank Hub for Western Balkans and Turkey” is funded by the European Union. RisiAlbania is a development project aimed at increasing the employment opportunities of young people. It is a Swiss Agency for Development and Cooperation (SDC) project, implemented by a consortium of partners comprised of Helvetas Swiss Intercooperation and Partners Albania for Change and Development. Risi Albania kicked off in 2013, with an approach that seeks the development of the private sector for the creation of new jobs and, on the other hand, facilitate the introduction of young people into the labor market. Project initiatives in the private sector development component are focused on three economic sub-sectors: Agro-processing, Tourism and ICT. Some of the main activities of RisiAlbania during 2017 were: Albanian Tourist Guides – a certified and qualified profession Responding to tourism market demands for cerfified tourist guides in Albania, the National Association of Tourist Guides in Albania (NAGDA) trained and awarded 211 certified tourist guides during 2017, who can from now on offer qualitative services for the visitors. RisiAlbania supported the curriculum for 3 categories for tourist guides in Albania mutually approved in a joint order by the Ministries of Economic Development, Tourism, Trade & Entrepreneurship and Social Welfare and Youth at the beginning of 2017. Hospitality and Tourism Academy celebrates the success in training and employment of young people During April 2017 was organized the Graduation Ceremony to celebrate the training completion and employment of around 180 young people in high class hotels and restaurants of Tirana by Hospitality and Tourism Academy supported by Risi. The event was greeted by the Mayor of Tirana, Mr. Erion Veliaj, Minister of Youth and Social Welfare, Ms. Olta Xhacka and Deputy Head of Mission at the Embassy of Switzerland in Albania, Mr. Philipp Keller. Improving the post-harvest handling of MAPs One of the major obstacles identified by the project in strengthening Medicinal and aromatic plants (MAPs) export potential, is the lack of an efficient post-harvest handling system. In response, RisiAlbania partnered with CIBUKU Ltd, one of the main MAPs exporters in Albania, introducing drying racks, an intervention which resulted very successful, improving the product’s quality and generated more income for the farmers and it will be replicated in other areas. Albania, a new destination for investments in BPO sector 2017 marked a turning point for the BPO sector in Albania. Albanian Investment Development Agency (AIDA), Foreign Investors Association of Albania (FIAA) and Albania Outsourcing Association (AOA) staff, participated at the CCW Trade Fair for call centers organised on 20-23 February, 2017 in Berlin - a good opportunity to promote Albania as a destination for new investments in BPO sector among global investors. During this year, the “Southerland” Company representatives, a major global BPO player, visited Albania, aiming to expand in the Western Balkans. “Do you have an idea” - a successful entrepreneurial TV Show A new TV Programme supported by RisiAlbania “Do you have an idea”, was launched in late February by Vizion + TV. During 14 TV Show episodes, around 50 young innovators presented their innovative products and business ideas to a panel of experts and businesspeople. The three winners together with other 19 participants were supported to launch their businesses. Encouragement and Development of Corporative Philanthropy in Albania As part of its work to promote philanthropy and the research in this field, Partners Albania organized the national conference “Encouragement and Development of Corporative Philanthropy in Albania“. In the conference were presented the findings and recommendations of “Philanthropic Activity of Enterprises in Albania” study, conducted by Partners Albania in 2016. This is the second study of Partners Albania on philanthropy, following the one conducted in 2011. The study assessed the level and characteristics of philanthropic activity performed by the business sector in Albania, the development features of this activity throughout 2011-2016, as well as future trends. Speakers at the conference were Mr.Bashkim Sykja, Advisor of the Ministry of Economic Development, Tourism, Trade and Entrepreneurship, Mr. Nikolla Lera, Director of Macroeconomic and Fiscal Policy Affairs at the Ministry of Finance, Mr. Flobens Dilaveri, Deputy Director, General Directorate of Taxation and Mr. Genc Boga, Secretary General of the National Economic Council. The discussion focused on the importance of philanthropic activity and the need to further stimulate that by providing fiscal incentives but also public recognition. •	To create an enabling legal and practical environment for enterprises and individuals to carry out philanthropic activity. It is important to increase the fiscal incentives for enterprises and to provide fiscal incentives for individuals. •	To create platforms of cooperation between civil society organizations and the business sector. An important element for the promotion of philanthropic activity, as identified by the enterprises, is the increase of information on programs and projects that they may support, which can serve as input for developing CSR plans. •	In order to fulfil expectations of enterprises for channelling donations through NPOs, more transparency of their operations is needed, which in turn will boost businesses’ confidence to cooperate with them. •	Planning of clear strategies that enable the carrying out of philanthropic activity through the functioning of internal and external structures on CSR and philanthropy. Philanthropy Awards 2017 Partners Albania organized on December 1st, the gala ceremony where were announced the winners of Philanthropy Awards 2017. Since 2011 PA organizes this event based on public nominations, to express appreciation and gratitude to individuals, families and businesses who contribute to improving the quality of life in our society. The event was attended by a large number of guests from the Albanian government and members of Albanian Parliament, representatives of diplomatic corps accredited in Albania, international institutions and donor agencies, representatives of the business sector, nonprofit organizations and media. The Award for Contribution at National Level was granted to TELEKOM Albania, with motivation: For its contribution to supporting social, health care and environmental development in the country, in particular for the provision of artistic books to the public libraries in Tirana, provision of medical equipment to the “Shefqet Ndroqi” hospital and to the Neurology Service of University Hospital Center “Mother Teresa”, as well as for the special contribution in the research for the fight against dementia, through virtual reality. The award was presented by Ms. Maryam Salim, Country Manager for World Bank Office in Albania. The Award for Contribution at Local Level was granted to HAKO sh.p.k, with motivation: For the support given in the field of education, therapeutic services and development of children and young people with special needs in the city of Tirana. The award was presented by Mr. Adrian Civici, President of the European University of Tirana. The Award for Individual Contribution was granted to Ms.Albana Osmani, with motivation: For the special contribution to the reconstruction of the Pediatric Oncohematology Service at the University Hospital “Mother Teresa”, and the increase of citizen’s solidarity and awareness to help the children affected by blood diseases through the campaign “You are a sunflower”. The award was presented by Ms. Majlinda Bregu. Special Award “Pioneer of Philanthropy” was granted to Mr.Kristaq Zografi (posthumously), with motivation: For his outstanding activity in the field of education and culture, in particular for the construction of the first gymnasium in the village Qestorat in Gjirokastra, the allocation of scholarships for young people and the construction of several public works in and outside the country. The award was presented by Mrs.Vasilika Hysi, Vice Speaker of the Albanian Parliament. Certificate of Appreciation was granted to Mr.Gjergji Renja, with motivation: For the continued contribution in support of families in need in the villages of Berat, especially in support of education and integration of young people in these areas. The Certificate of Appreciation was presented by Mrs. Marjeta Ljarja, a well known Albanian actress. Visit our website for more information and a photo gallery from this event. Monitoring of philanthropic activity in Albania As part of its work to promote philanthropy, Partners Albania continues the monitoring of philanthropic activity in Albania using cases reported by media (including social media) and information sources from public and non-public institutions. The daily monitoring gathers information on nature of causes supported, nature and value of the donations, geographic coverage and donorâ&#x20AC;&#x2122;s nature. The findings are presented as monthly infographs. Throughout 2017 Partners Albania registered 279 donations totaling 185,893,382 ALL, 82% of which were monetary donations, 12% services and 6% goods/ products. The main field of donations is Economical Aid, while as regards the main beneficiary group, except for the General Public receiving 62.5% of donations, Children are the other beneficiary group receiving 28% of the donations. The main contributors are individuals, making 55% of the total donations and 58% of the total amount registered, followed by businesses carrying out 20% of the donations and 16% of the total amount registered. Celebrating Solidarity Partners Albania, as part of its efforts to promote the values and good examples of collaboration and solidarity with people in need, organized during May and June the “Festival of Solidarity”. It consisted in a series of activities celebrating understanding, tolerance, solidarity, and support among people. This campaign aimed to foster the debate and promote solidarity as a key value of the European Union. The Festival of Solidarity was organized simultaneously in Bulgaria, Serbia and Macedonia by PA partner organizations in this campaign. Partners Albania in cooperation with the Dajti Alpino Tourist Association organized the Tujan’s peak climbing, on May 21st. The purpose of this activity was to convey the important message of group solidarity. Participants had the opportunity to hear stories from young and experienced climbers, on the challenges they faced and the solidarity acts that have accompanied them during these experiences. Partners Albania mobilized local businesses and a group of young volunteers, to support the Elderly House in Tirana with a donation in form of supplies and products. This support along with time the group spent with elders, was a small contribution in improving life quality of the residents. On June 16th, Partners Albania organized a ”Solidarity Talk“, part of which was the showing of a film prepared by Partners Albania, promoting the Albanian tradition of solidarity since 19th century to nowadays. Representatives of civil society, media, business and public sectors shared their experience and perspective on solidarity. The discussion was followed by the “Solidarity Exhibition“, featuring the contribution of civil society organizations and civic initiatives in support of vulnerable groups, people affected by war or natural disasters, and other solidarity campaigns. Partners Albania launched a campaign for collecting gifts for children in need, as an act to show them the care and support of the society. The books, toys and clothes collected through the campaign, were donated to the children of the SOS village and children with special needs of the day care center “Standing Together”. Partners Albania joined the Food Bank Albania campaign “Solidarity Against Hunger“. In only two days, our volunteers managed to collect 400 kg of food products donated by citizens in some of the supermarkets in Tirana. The donated food were distributed to families in need. To ensure a more effective implementation of the law, Partners Albania conducted a Training for Trainers Program on the whistleblowing and whistleblowers protection legislation, to be implemented by the Albanian School of Public Administration (ASPA). As part of the program, representatives of the responsible units for the whistleblowing in the public institutions were trained, increasing their capacities with regards to the law implementation. During June - July, Partners Albania implemented a wide public awareness campaign with regards to the coming into force of the whistleblowing legislation for the private sector. The campaign consists in a series of visual elements, and two public service announcements. In July 2017, Partners Albania facilitated a training program for 30 inspectors of HIDAACI, focusing on various issues such as: whistleblowing and whistleblower protection Law and implementation; Knowledge of the whistleblowing structures and the responsible units; Knowledge of administrative investigation procedures; the rights and protection of the whistleblower; violations and administrative measures etc. Confederation of Trade Unions, Netherlands Post, Municipality of Amsterdam, Rabo Bank and several other institutions, discussing Dutch experience in implementation of the Law and some of the replications it might have on the Albanian case. LevizAlbania	“LevizAlbania” is SDC project implemented by a consortium of three organizations: Open Society for Albania, Partners Albania and Co-Plan. LevizAlbania supports local democracy in the country through the cultivation of a community-based local civil society, which affects and stimulates demand for good governance. During 2017, LevizAbania awarded 33 projects submitted by 9 individuals and 24 NPOs, as part of the Third Call for Applications. In September, Leviz announced the Fourth Third Call for Ideas. In support of LevizAlbania, in order to address the needs of beneficiaries and interested applicants, PA is offering a wide assistance program. In this framework, PA is offering online and onsite training and coaching, supporting networking in territories larger than those in which CSOs operate, and their efforts to successfully advocate in the local decision-making. Partners Albania, as part of this assistance provided a series of trainings focused on Project Proposals Writing, Participatory Governance, Community Mobilization, Strategic Planning and Cooperative Planning, for over 150 NPO representatives Proposal Writing Training, Tirana, and civil society activists. April 2017 Particular importance was given to networking, collaboration, and sharing of best practices from the region, through online sessions with organizations from Croatia, Kosovo, and Lithuania. LëvizAlbania’s beneficiaries were also offered individual support for the successful implementation of their initiatives. Online experience exchange sessions for strengthening local democracy, Institute for Policy Research & Analysis from Lithuania, October 2017. On 24th - 28th of April 2017, LevizAlbania organized the Local Democracy Week. The two-year journey of the project and its beneficiaries were discussed and results shared in various formats such as forums, conferences, theatre performances and social events. Sharing successful experiences and models of civic actions from Switzerland The Swiss model of using petitions and referendums initiated by citizens related to local policies, investments, transparency, accountability and citizen participation in local decision making has affected directly the quality of local governance in this country. Aiming to share these models and experiences for which Switzerland is recognized as a success story, a delegation from LevizAlbania held an official visit as part of which they had a productive meeting with the new Mayor of Geneva municipality, Mr. Remi Pagany. LevizAlbania team met also with the Swiss Agency for Development and Cooperation (SDC) in Bern, which is the funder of LevizAlbania project. The representatives of SDC highly appreciated that the union of the expertise from the three organizations implementing LevizAlbania project is a success story which has started to give concrete results. Role of civil society organizations, local and central government and active groups in the implementation of Participatory Budgeting in Albania In the frame of its work to enhance the involvement and influence of CSOs in policy and decision making, Partners Albania in cooperation with the Olof Palme International Center and the support of the Swedish Government organized on January 17, 2017 in Tirana, the national conference “The role of civil society organizations, central and local government and active groups active in the implementation of participatory budgeting in Albania”. The event brought together key stakeholders in the implementation process of participatory budgeting at central and local level to discuss the achievements, challenges and problems encountered in the implementation of this process, and to provide recommendations for improvement, toward a more transparent and participatory governance at all levels. Key speakers at the conference were local government officials and NPO representatives from the municipalities of Vlora, Lezha and Elbasani, along with experts and donor institutions. The discussion highlighted improvements in the legal framework and underlined remaining challenges with regard to NPO sector’s expertise on the topic and lack of institutional instruments in place to support it. Berati Municipal Council Meeting approving the Anticorruption Strategic Plan, March 2017 Partners Albania work with the municipalities of Elbasan, Berat and Fier was conducted in the frame of Urban Partnership Program of the World Bank - Austria “Urban Governance / Integrity Building in Southeastern Europe. Partners Albania worked with the Guiding Coalitions and staff in the municipalities of Elbasan, Berat and Fier, to finalize the Strategic Action Plans on Anticorruption 2017 – 2019 in the respective municipalities. The working groups in each municipality were assisted to draft the strategy and supporting action plan in order to reduce corruption space in the operations and decision-making of respective municipalities. The Anticorruption Strategic Action Plan 2017-2019 were approved by the respective Municipal Councils in Elbasani, Berati and Fieri during 2017. Regional Integrity Symposium, Belgrade Partners Albania anticorruption practitioners Arjola Agolli and Nina Keruti participated in the Regional Integrity Symposium held on 29 – 31 January 2017 in Belgrade, in framework of World Bank Urban Partnership Program II. As a key speaker in the panel discussion on perspectives and lessons learned in building partnerships and engaging stakeholders, Ariola presented Partners Albania work and experience with local government units in drafting and implementing anticorruption strategies in their institutions. About 70 local government officials, local government associations, anticorruption practitioners and civil society representatives from South East Europe participating in this conference, shared good practices of citizen’s engagements in policy-making and decision making processes, e-citizens portals, discussed on progresses and challenges that local governments are facing etc. Regional conference “Socially Inclusive Cities”, Zagreb Klotilda Kosta, PA Director of Programs participated in the regional conference “Socially Inclusive Cities”, held on March 26 – 28 in Zagreb, Croatia. Around 80 Local Government Officials, Local Government Associations, Civil Society Organizations, business sector and other key stakeholders from seven SouthEast European countries shared their knowledge and experiences on citizen engagement and innovative tools of governance, including ICT tools used for integrating citizen’s voice from the region and beyond. The event provided a platform for disseminating the findings of the UPP Social Sustainability and Citizen Engagement (SSCE) initiative and sharing approaches to improving collaborative government and strengthening integrity of public services. The conference was organized as part of the WBAustria Urban Partnership Program, phase II (UPP II). Partners Albania has been a member of the Regional Consortium implementing the Urban Governance/ Integrity Building in South East Europe component of the UPP II. Corruption-Free Cities of the Future Juliana Hoxha, PA Director, as part of the Regional Conference “Corruption-Free Cities of the Future”, presented Partners Albania experience in applying the anticorruption methodology in six municipalities. The event was organized on 7-8 December 2017 in Tirana, co-hosted by the Albanian Ministry of Justice and Ministry of Interior and co-organized by the United Nation’s Development Programme (UNDP), jointly with the Organisation for Economic Co-operation and Development (OECD) Anti-Corruption Network for Eastern Europe and Central Asia (ACN) and Regional AntiCorruption Initiative (RAI). Juliana Hoxha, Director of Partners Albania was part of a group of 40 experts from NALAS members (Network of Associations of Local Authorities of South-East Europe), Local Government Associations, NALAS Task Forces, the European Commission, development agencies, donors, Civil Society Organizations and academia in a discussion on NALAS Regional Decentralization Observatory. The event took place from 5-6 December 2017, in Vienna, Austria, with the support of KDZ-Centre for Public Administration Research and OSCE Missions to the region. The Observatory will be a measuring instrument for decentralization process in Western Balkans focusing in four dimensions such as independence of local government, municipal services, citizens participation and local government responsiveness, LGAs involvement in policy dialogue. The Observatory managed by NALAs will produce regular reports allowing comparison among countries when it comes to advancement of decentralization level at country and regional level. The first report of the NALAS Regional Decentralization Observatory is expected to be available in 2018. CITIZENS PRO JUSTICE REFORM The “CITIZENS PRO JUSTICE REFORM” came together as a voluntary group of civil society organizations aiming to establish a joint and independent platform to advocate for advancement of the justice reform that would deliver and guarantee fair and just justice for all and not only for the most privileged one such as people with political or economic power. The Group mobilized 35 organizations from all over the country. This initiative started in July 2016, when the Judicial Reform experienced a halt due to resistance of the Albanian Parliament to pass the constitutional amendments laying down the foundations and opening the road to justice reform in Albania. As part of the manifestations, the Group asked Albanian MPs to assume political responsibility and to vote the constitutional amendments laying down the foundations of Justice Reform. In February 2017, the Group with the engagement of over 70 organizations and dozens of citizen from 11 cities, launched a petition in support of the vetting process and further implementation of the reform. The petition started in Tirana and later expanded in Durres, Vlora, Shkodra, Lezha, Korça, Pogradec, Berat, Fier, Ura Vajgurore and Kuçova. In only 5 days the Group succeeded to collect over 31,777 signatures of citizens in support of the reform. Although the petition was more a symbolic act rather than a legal binding proposal, it demonstrated the clear and strong will of Albanian citizens to bring an end to the corruption and injustice in our judicial system and the political class connected and supporting it. In March 2nd, representatives of the Group presented the petition to the Albanian Parliament, the institution directly responsible for electing the vetting institutions. PUBLICATIONS Monitoring the Right to Free Assembly, Country Report for Albania 2016-2017, provides an analyses of the legal framework regulating the freedom of assembly in Albania against the international standards in this field. The report is based on desk research of the legal framework, and data gathering from the competent institutions (state police and local government). It is part of a bigger report prepared by European Center for Not-for-Profit Law (ECNL) working with local experts from nine countries (Albania, Armenia, Belarus, Bosnia and Herzegovina, Macedonia, Moldova, Montenegro, Kosovo, Serbia) on mapping the existing environment on freedom of assembly in their respective countries. 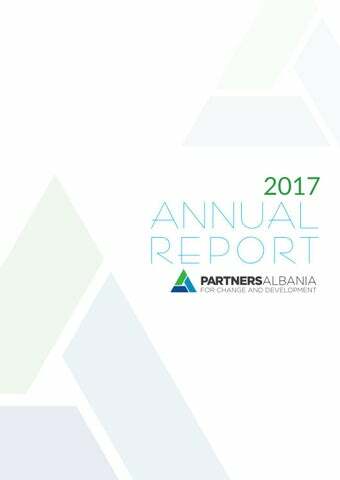 Philanthropic Activity of Enterprises in Albania study, conducted by Partners Albania in 2016, assessed the level and characteristics of philanthropic activity performed by the business sector in Albania, the development features of this activity throughout 2011-2016, as well as future trends. The winners of Green Ideas Competition since 2012. Facts on Philanthropic Activity report reflects the philanthropic activity in Albania during 2017, launched in a synthesized way from Partners Albania, based on daily monitoring and monthly reporting. The report analyses the main sectors and issues supported, nature and value of the donations, geographic coverage and also the nature of donors and beneficiaries. The winners of Philanthropy Awards over the years. Annual Monitoring Report for Albania 2017 presents the current state of affairs with regard to political, social and economical participation of youth, based on a set of indicators, making also a also comparison with 2016, of the most important data monitored. The report serves as a strong evidence base for future advocacy initiatives regarding youth participation enriched by recommendations gathered through consultation with youth NPOs and other stakeholders.This Report is prepared by Partners Albania as part of the regional network “Youth Bank Hub for Western Balkan and Turkey”, an initiative implemented in Albania, Macedonia, Serbia, Montenegro and Turkey. This is a best practices collection of inclusion in society and in the workplace, of people with disabilities or disadvantaged people, presented by 19 organizations in 17 different European countries. Partners Albania has contributed to this publication by introducing some successful practices from Albania. The publication aims to provide a useful stimulus to all stakeholders in the field of social inclusion, to further strategies for the Europe 2020 program on inclusion and active development. The Manual on “Financial Management of NPOs and Regulatory Framework, second edition” presents the basic concepts of financial management, a comprehensive view of accounting systems and reporting, internal controls, budgeting process, financial analysis and taxes applied to NPOs by the state. The updated manual reflects the changes occurred in the legal and fiscal framework that regulates the activity of NPOs and responds to the new dynamics of the sector’s development. For copies of the publication please contact Partners Albania office. Toward a Sustainable Society is PA quarterly newsletter distributed electronically to all our cooperators and supporters, and is also accessible via PA website. Annual report 2016 provides an overview of our work, supporters and beneficiaries during the previous year. RisiAlbania quarterly newsletter presents the main activities and progress of the project’s interventions aiming at enhancing employment of young women and men in Albania. Direct budget managed by Partners Albania, excluding LevizAlbania and RisiAlbania projects, setup as separate entities being implemented in individual project offices.